Goldonomic - Ready for Capital transfer controls? Ready for Capital transfer controls? this is what authorities do when a currency comes under pressure. Capital Controls affect both RESIDENTS and NON-RESIDENTS. Bail-ins also will affect both. Those who refuse to politically diversify their savings/assets and instead blindly keep chasing Fiat Money profits will soon be in for a nasty surprise. During the 1970’s and 1980’s cross border capital transfers were controlled and regulated by the mechanism of the Convertible and Financial Franc. Payment for imports of GOODS was made using Convertible Francs while Capital transfers as a result of a sale of local francs for German Marks or any other foreign currency was executed at the exchange rate for Financial Francs which as a rule sold at a discount to the Convertible. Because of the double exchange rate the Financial Francs were as a rule worth less than the Convertible and the spread between both rose each time the market expected currency devaluation. If the market anticipated a 15% devaluation the financial currency traded 15% below the rate of the Convertible currency. Former mechanism is still used in South-Africa. The country has additional capital export rules where exports/sales of South African Rand by SA residents are limited to a maximum amount and permission to do so is ONLY granted after approval by the Tax authorities. Such legislation could be re-instated at any time and will penalize anybody (also non residents) holding Euros (or Dollars in case you live and work in the USA) and would strongly limit the pressure on the Euro in case of a panic as the maximum amount of CASH Euros that may be exported is limited to €10,000 . Now is the time to act. Better be one year early than one day late. If in doubt remember what Germans had to pay in order to get their savings out of Germany right before the dramatic Weimar hyperinflation. Remember what happened to many Belgians after WWII during operation Gutt and know many committed suicide after they lost it all. (ironically Gutt became the 1st president of the IMF). 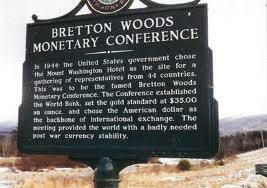 A widespread system of capital controls were decided upon at the international 1944 conference at Bretton Woods. At the end of World War II, international capital was "caged" by the imposition of strong and wide ranging capital controls as part of the newly created Bretton Woods system- it was perceived that this would help protect the interests of ordinary people and the wider economy. These measures were popular as at this time the western public's view of international bankers was generally very low, blaming them for the Great Depression. Keynes, one of the principal architects of the Bretton Woods system, envisaged capital controls as a permanent feature of the international monetary system, though he had agreed current account convertibility should be adopted once international conditions had stabilised sufficiently This essentially meant that currencies were to be freely convertible for the purposes of international trade in goods and services, but not for capital account transactions. Most industrial economies relaxed their controls around 1958 to allow this to happen. The other leading architect of Bretton Woods, the American Harry Dexter White and his boss Henry Morgenthau were somewhat less radical than Keynes, but still agreed on the need for permanent capital controls. 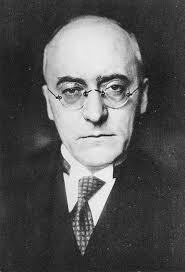 In his closing address to the Bretton Woods conference, Morgenthau spoke of how the measures adopted would drive "...the usurious money lenders from the temple of international finance". Following the Keynesian Revolution, the first two decades after World War II saw little argument against capital controls from economists, though an exception was Milton Friedman. However, from the late 1950s the effectiveness of capital controls began to break down, in part due to innovations such as the Eurodollar market. According to Dani Rodrik it is unclear to what extent this was due to an unwillingness on the part of governments to respond effectively, as compared with an inability to do so. Eric Helliner has argued that heavy lobbying from Wall St bankers was a factor in persuading US authorities not to exempt the Eurodollar market from capital controls. From the late 1960s the prevailing opinion among economists began to switch to the view that capital controls are on the whole more harmful than beneficial. While many of the capital controls in this era were directed at international financiers and banks, some were directed at individual citizens. For example in the 1960s British families were at one point restricted from taking more than £50 with them out of the country for their foreign holidays. In their book This Time Is Different economists Carmen Reinhart and Kenneth Rogoff suggest that the use of capital controls in this period, even more than its rapid economic growth, was responsible for the very low level of banking crises that occurred in the Bretton Woods era. By the late 1970s, as part of the displacement of Keynesianism in favour of free market orientated policies and theories, countries began abolishing their capital controls, starting between 1973 - 1974 with the U.S., Canada, Germany and Switzerland and followed by Great Britain in 1979. Most other advanced and emerging economies followed, chiefly in the 1980s and early 1990s. During the period spanning from approximately 1980 - 2009, known as the Washington Consensus, the normative opinion was that Capital controls were to be avoided except perhaps in a crises. It was widely held that the absence of controls allowed capital to freely flow to where it is needed most, helping not only investors to enjoy good returns, but also helping ordinary people to benefit from economic growth. During the 1980s many emerging economies decided or were coerced into following the advanced economies by abandoning their capital controls, though over 50 retained them at least partially. The then orthodox view that capital controls are a bad thing was challenged to some extent following the 1997 Asian Financial Crisis. Asian nations that had retained their capital controls such as India and China could credit them for allowing them to escape the crisis relatively unscathed. Malaysia's prime minister Mahathir bin Mohamad imposed capital controls as an emergency measure in September 1998, both strict exchange controls and limits on outflows from portfolio investments - these were found to be effective in containing the damage from the crisis. In the early nineties even some pro-globalization economists like Jagdish Bhagwati  and some writers in publications like The Economist  spoke out in favour of a limited role for capital controls. But while many developing world economies lost faith in the free market consensus, it remained strong among western nations. In the late 1920s, the economy of the Weimar Republic was beset by numerous fiscal troubles. The global depression spread quickly to Germany, undermining the government’s ability to make its reparation payments from the Great War.Fearing a return to hyperinflation, many Germans decided to pack up and leave; they remembered the days when banknotes were used as wallpaper and had no desire to repeat the experience.In 1931, Chancellor Heinrich Bruning imposed a ‘flight tax’, which levied a 25% tax on the value of all property and capital for Germans leaving the country. Total revenue collected from this tax amounted to roughly 1 million Reichsmarks (RM) in its earliest days ($56 million today). By the late 1930s under Hitler’s rule, flight tax revenue soared to RM 342 million ($21.5 billion today) as more people headed toward the exits. This flight tax constitutes one of the earliest modern examples of capital controls. They’ve evolved substantially since the days of Hitler, but the end goal is the same– governments controlling the flow of capital across borders.Bankrupt governments seek to trap capital within their borders, maximizing the amount available for subsequent taxation or other forms of confiscation. This tactic is usually employed when lost confidence has impaired the government’s capability to borrow.As one scans the headlines in the US and Europe, it’s obvious that the march towards stricter capital controls is quickening its pace. Capital controls can take a variety of other forms– including taxation on outward remittances, restrictions on the movement of financial instruments, bureaucratic approval processes for foreign transactions, reporting requirements for foreign assets, and government control over banks.This last is important– when politicians and bankers are in bed with each other, banks can be compelled to loan a portion of their deposits to the treasury at unrealistic terms, sticking bank customers with sub-optimal yields below the rate of inflation. [I remember this letter sent out by the Belgian Minister of Finance in the late 1970’s where he threatened the Institutional Investors (insurance co’s) if they failed to buy Belgian Treasuries]. I’ve said before– it’s imperative that everyone establish a foreign bank account, even with a small deposit. There are several banks where you can open an account through the mail with just a nominal deposit. This way, if you ever need to move the bulk of your funds in a hurry, you’ll at least have the established infrastructure to do it.I know it’s easy to kick the can down the road, but as the political and economic support for capital controls is spreading around the globe, I would urge you to take action now.